Published On Sunday, March 13, 2011 By admin. 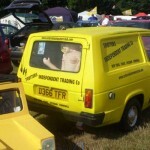 Under: Featured, Only Fools and Horses. Yesterday Darren Lethem revealed the start of his top 5 Only Fools And Horses moments. So what mad his top three Only Fools and Horses moments? At number 3 a real favorite of mine – The vicars hat gets thrown into Grandads grave in Strained Relations – What a brave move this was. 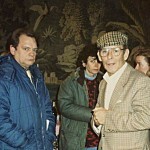 Here was a successful hit comedy putting a funeral scene into an episode and saying goodbye to a much loved character. It could have being a disaster but of course it was done superbly. A fitting tribute to Leonard Pearce, a nice intro Uncle Albert and a touching moment between Del and Rodney all mixed with some wonderfully comedic moments. 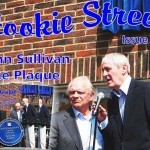 It would have been easy to make the whole episode downbeat or to go to the other extreme and not mention Grandads passing, but John Sullivan knows that the audience love his characters and would share a tear with them. The runner-up at 2 – Rodney shows Del he has named his daughter Joan in Sleepless In Peckham – Another slightly melancholy moment at number 2 for me. The reason this is so high is also slightly personal. I lost my mum a few years ago and can empathise with the Trotter boys as to what it is like to lose that maternal presence in your life. But of course Joan may be gone, but the boys make sure she is never forgotten. This is the episode where we realise that Del and Rodney are no more than half brothers but that would never ever let their strong relationship and ultimate love for each other be affected. A sign of solidarity in Rodney naming his first born after his dear departed mum and Del’s obvious joy is pure magic. 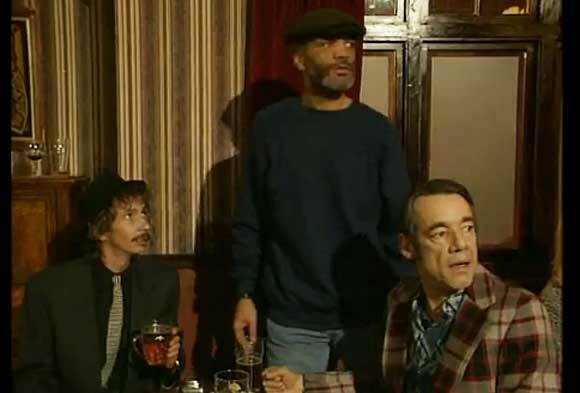 Darren Lethem’s number 1 OFAH moments – The Trotters enter the Nag’s Head in Time On Our Hands – So to my number 1 and this is just a great moment which could have gone in many directions. Great comedy can make you cry as well as laugh and OFAH has shown that on many an occasion. The reason why is because you feel for the characters and you empathise with them, laugh with them, feel pain with them and ultimately you love them. Del and Rodney had ducked and dived and scrimped and saved for years and now their ship had finally come in. We were all pleased for them when they finally became Millionaires but how would their friends react ? 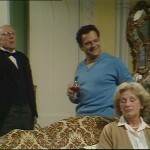 The moment the Trotters walked into the Nag’s Head was priceless. The room fell silent. A rather awkward silence. The first time I saw it I did wonder what would happened next. Denzil made this moment for me. 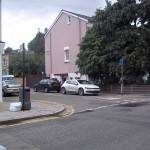 From the second he rose to his feet you could tell that he was delighted for his old school friend and when the pub erupted into a standing ovation, you knew that the people of Peckham felt as much joy as the viewer. 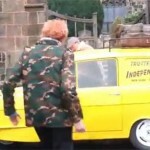 The time Rodney gets married in Little Problems and you see him and Del catch each others eye – Simply Reds Holding Back the Years is playing in the background – as a viewer you knew it would never be the same again. Brilliantly Sullivan moved the series on even with the marriage of Rodney, but it was another brilliant moment. Sleepless In Peckham also provided me with a similar sense of feeling but at a different time. Rodney has been in the printers to blow up the Jolly boys outing photo and he has the realisation. The music is “Sing” by Travis – i was goose-pimpled for hours thereafter.